Anti-jam function. Easy access staple and brad insertion for faster loading. Uses Rapid 140 Series Galvanised staples, Arrow T50 staples or Stanley TRA700 series. Uses brad nails 12mm and 15mm. Stanley Heavy Duty Staple/Nail Gun is rated 4.6 out of 5 by 8. Rated 5 out of 5 by Bert123 from Stapler Good bit of kit.. Definitely recommend. Rated 5 out of 5 by Dr John from Trigger Happy This is a solid and powerful piece of kit. Keep in mind that if you end up selecting the setting that requires more power to trigger a staple then you will have to use both hands to keep the gun flat on the surface. Rated 4 out of 5 by sitetech from Nearly returned this item! I bought this for upholstery jobs on our site, but could not get the stapler to set the staples in place, with them just falling out of the delivery end every time the, ( plastic!) trigger was pressed, it seemed to action the hammer after the trigger was let go. I almost returned this machine as being faulty, but decided to take the staples out and operate the trigger for around 100 times while empty, this has seemed to cure the problem and it now works well, but I would expect a thing like this to work straight out of the box, not require a "running in" period before it worked properly. 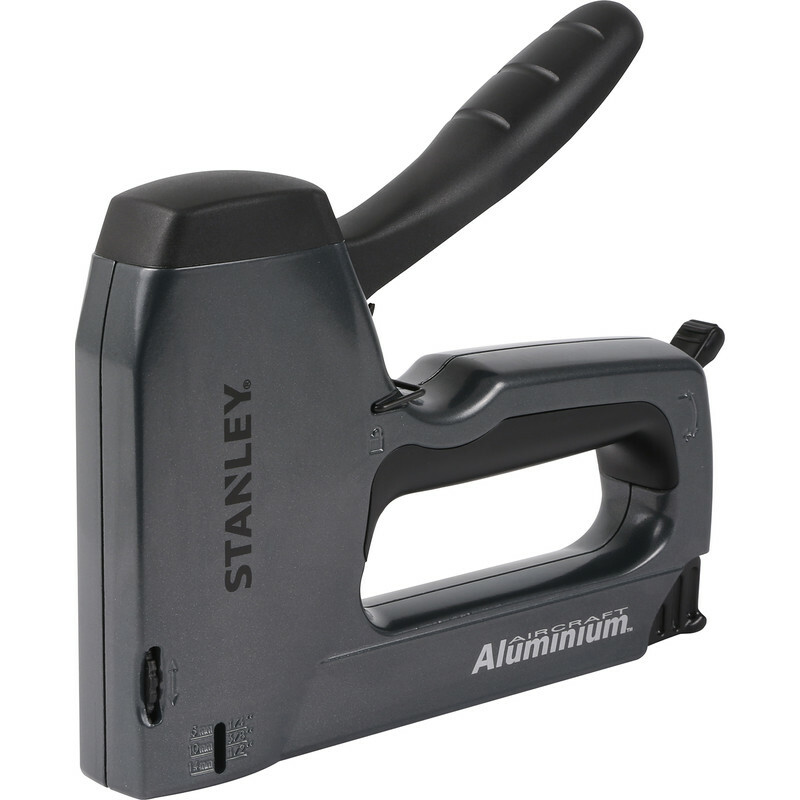 As it has a plastic trigger handle, with hindsight I would have bought the slightly more expensive all metal constructed stapler as I think the trigger is going to be a weak point on this machine, Stanley have done a poor design on this, and so have rated reliability fairly low. Rated 5 out of 5 by Giilf from good product easy to use and was able to complete the job required ie attaching notices to wooden stakes.